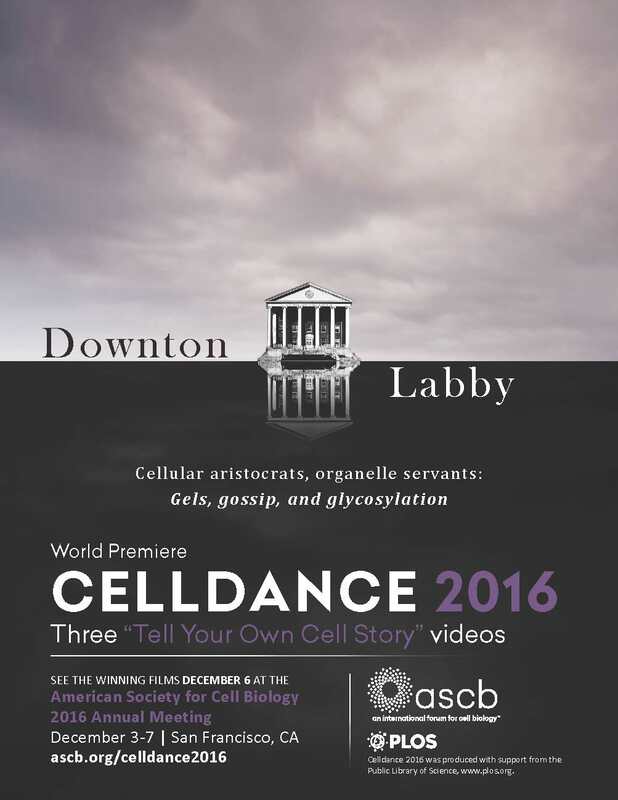 Riding a wave of powerful new imaging technologies, three ASCB member labs will take you inside the world of living cells with the release, December 5, of three short 2016 Celldance videos at the ASCB Annual Meeting in San Francisco. Scientists, students, and the public can follow a dendritic immune cell as it races to heal a wound or get up close as cells divide or explore the native environment of secretory cells pushing out vital enzymes. Celldance Studios (a.k.a. ASCB’s Public Information Committee) selected an international mix of three ASCB member labs to produce this year’s “Tell Your Own Cell Story” videos. All three Celldance 2016 video are now available for public viewing and free downloading for non-profit and educational purposes from the Vimeo links below. “Cell Division: Live & Up Close” from Daniela Cimini’s group at Virginia Tech’s Biocomplexity Institute in Blacksburg, VA, challenges viewers to “Close your eyes and try picture yourself dividing.” The film shreds old high school textbook diagrams of cell division and replaces them with a pulsing, action-packed mystery story with “high stakes” health impacts. “The Big Squeeze: What Dendritic Cells Do to Fight Infection” is from the lab team of Matthieu Piel at the Institut Curie and the Institut Pierre-Gilles des Gennes in Paris, France. It follows dendritic cells as they squeeze their way through the tangled extra-cellular matrix to alert the body’s immune system to an open wound. “Discovery Inside Living Cells in Multicellular Organisms” is from the National Institutes of Health (NIH) lab of Roberto Weigert in the Center for Cancer Research, National Cancer Institute, and at the National Institute of Dental & Craniofacial Research. This video is the fulfillment, says Weigert, of every cell biologist’s dream—to watch living cells at work inside living tissue as they go about the business of keeping us alive. Each year Celldance Studios solicits proposals from ASCB member labs for short videos that tell the story behind their research. ASCB awards each of the three selected labs a small unrestricted grant to partially cover production costs. ASCB provides post-production services including final editing, title and credits, legal music if needed, and promotion. 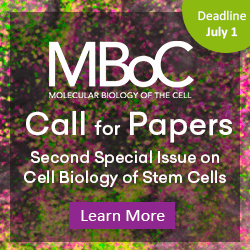 This year’s Celldance was also sponsored in part by the Public Library of Science (PLOS), a non-profit, open access scientific publishing project.